If you haven’t been by Spring Street and 5th in downtown LA lately, you’re missing the newly revamped Spring Arcade Building that’s home to eateries like Guisados Tacos. 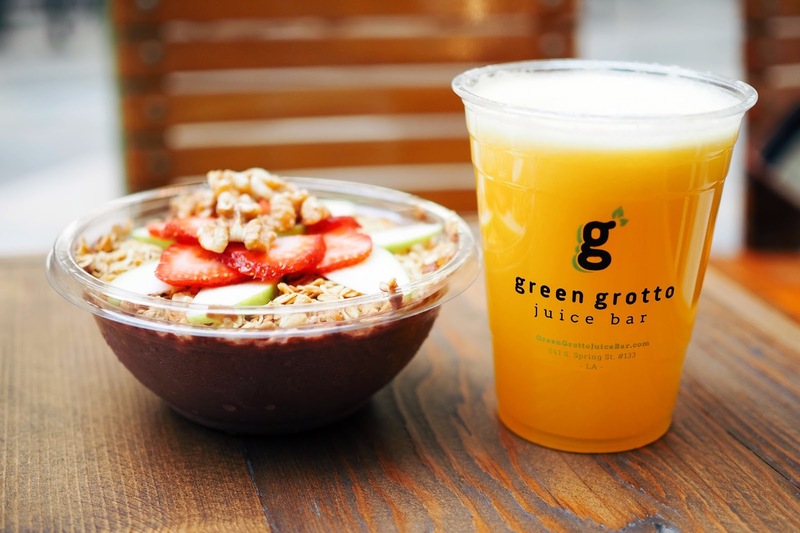 The neighborhood is changing, and a new wave of places are popping up, most notably, Green Grotto Juice Bar. 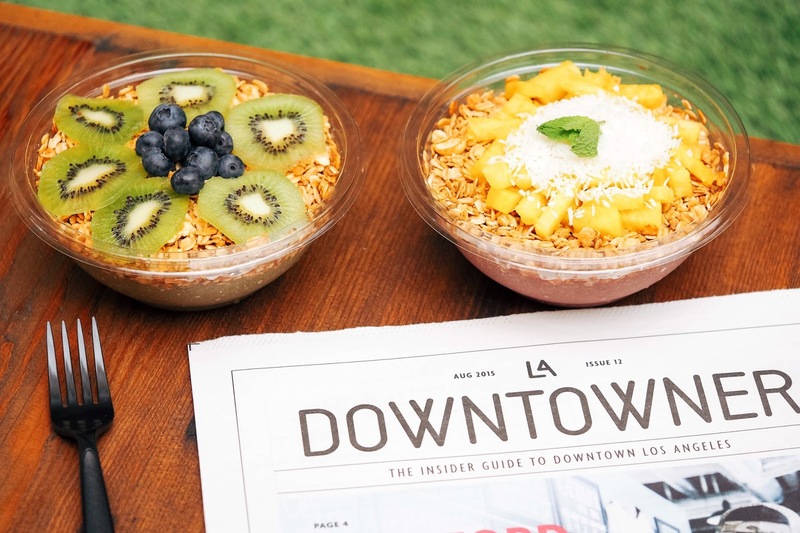 Let’s take a moment and recognize that in LA, we have several options for cold-pressed juice. Most of them, in my experience, come across cold (pun intended), and give you the feeling that you’re picking up medicine from a pharmacist. That’s all we had and were used to, until Green Grotto showed up. Once you step through the doors, you’re greeted by a mix of reggae, 90’s R&B and Hip Hop. 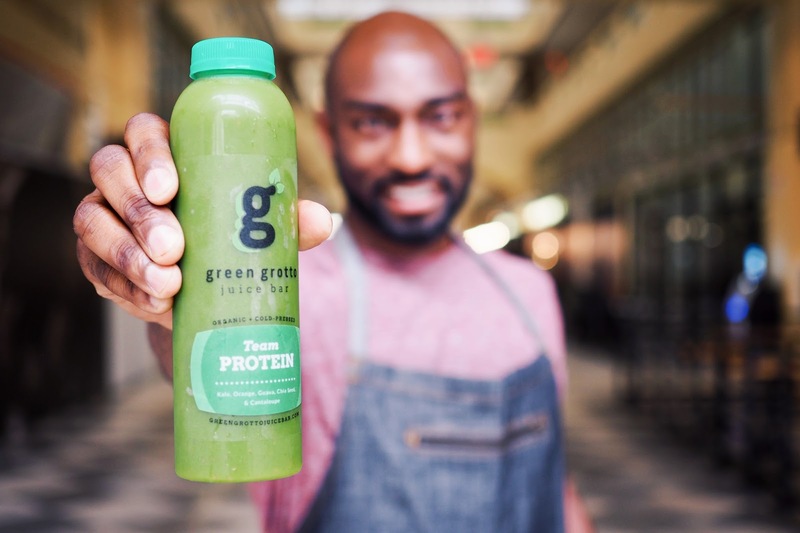 Snoop, Dre, Montell Jordan, are playing in the background and you can’t help but hum the chorus to This Is How We Do It as you place your juice order. There’s a different vibe here, it’s fun, casual, and inviting. It’s not just a small counter with a fridge in the background full of pre-packaged juices, although they do have some bottled juices ready if you just want to grab and go. The space has tables and chairs that allow you to stay and enjoy what you’ve just ordered. 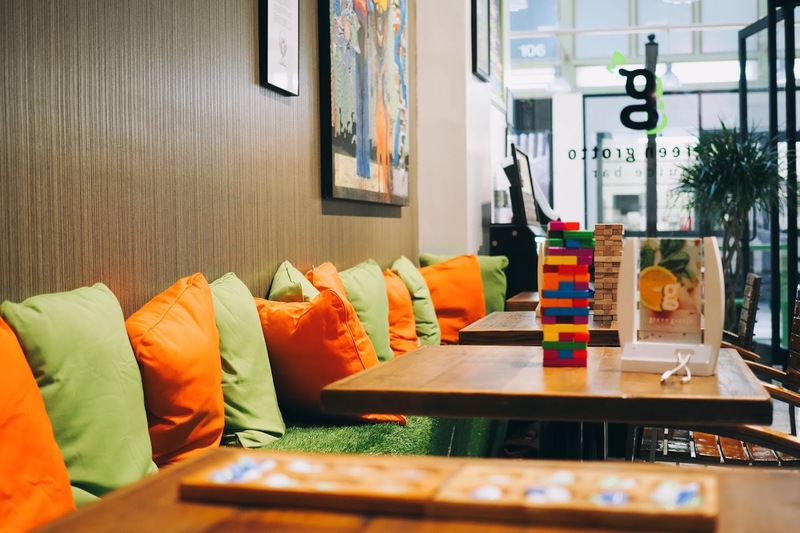 There are plenty of vintage games like Connect-Four, Uno, Jenga, and Battleship that encourage you to stay awhile. And don’t worry about your devices dying, there are plenty of charging stations for phones and free Wifi. 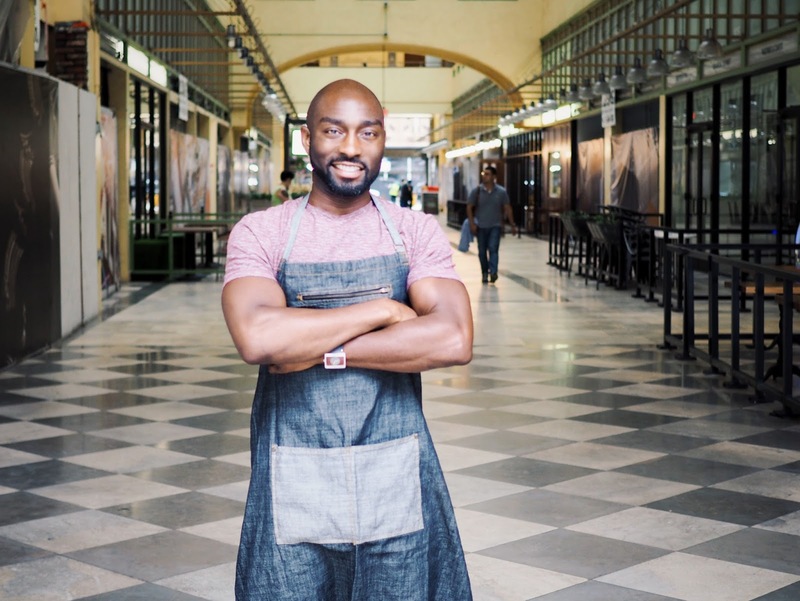 The man behind the Juice Bar is former R&B singer and mixologist, Kieran Roberts. After being tired of feeling worn out by life on the road and the lifestyle that it brought, Kieran started juicing, realizing that the importance of living a happy life was rooted in a healthy lifestyle. 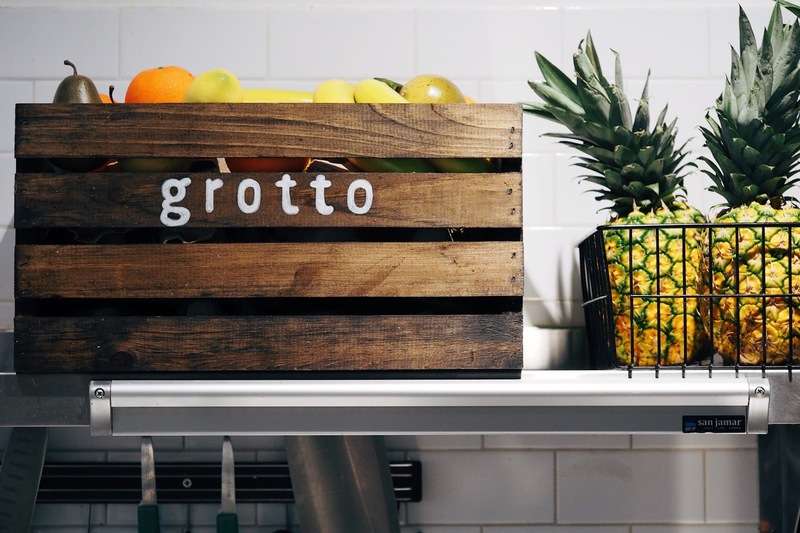 Inspired by the Grotto caves in Jamaica and his mother’s Caribbean roots, Kieran founded Green Grotto Juice Bar. His mixologist background comes out in those juices and smoothies - they are creative, complex and flavorful. Cold-pressed, organic and delicious, The “ Orange You Happy” with mango, apple, papaya, and (you guessed it) orange, is a stress reliever in itself. The Green Grotto (kale, pear, celery, parsley, green apple, cucumber, ginger, and papaya) is one of the best green juices I’ve had. The perfect mix of ingredients and an island twist with papaya makes it refreshing and perfect for morning rides to work. 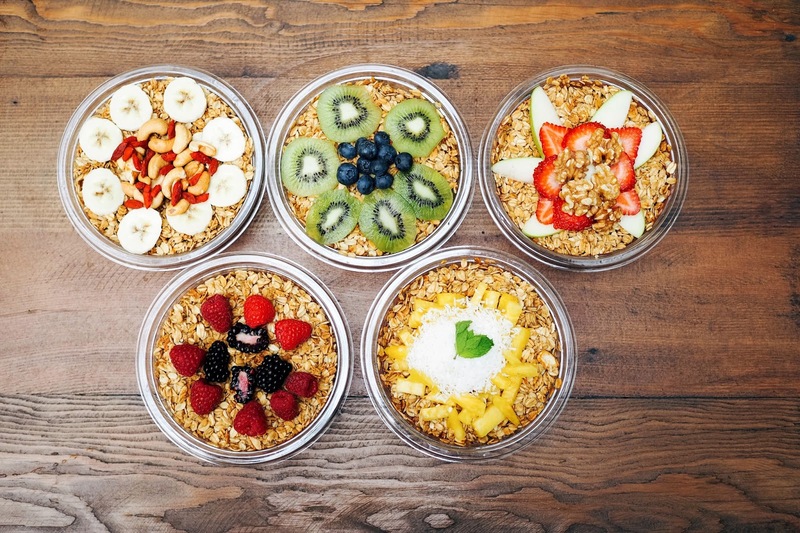 While you're there, you also need to try their famous Acai Bowls. Each one is hand crafted so you have to wait a bit, but it’s worth it. 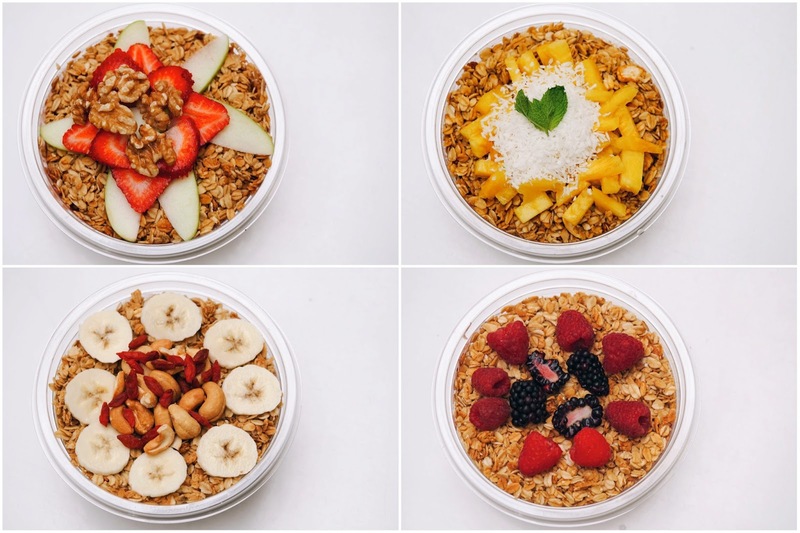 My personal favorite, The Dreamer with Acai, strawberries, blueberries, bananas and peanut butter blended together and topped with raspberries, blackberries and almond granola. It’s like a fresh and healthy play on a PBJ. Green Grotto Juice Bar also showcases its island roots by offering Jamaican-Style Patties - think hot, savory, spicy Jamaican style empanadas. It’s a secret family recipe so you’ll just have to visit and order one or two…or three and enjoy them for yourself. 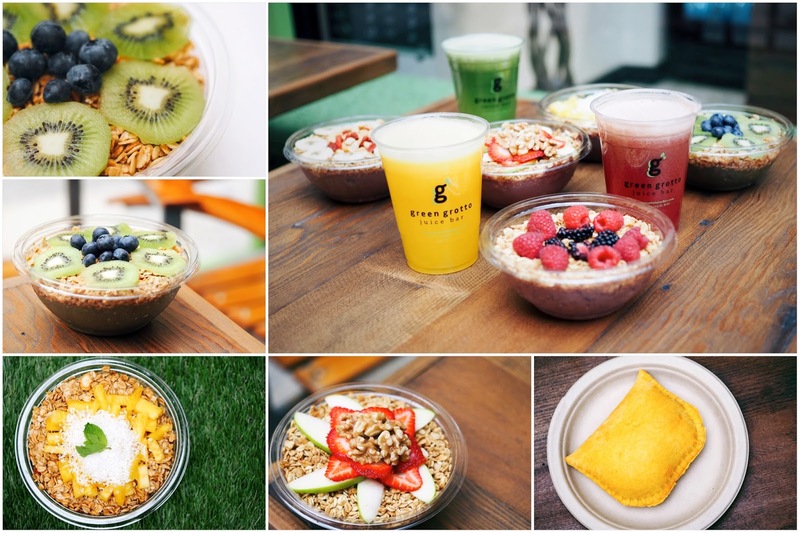 It's one of the many reasons Green Grotto Juice Bar stands out above others. The Islander: Acai, kale, mango, kiwi, honeydew blended together. 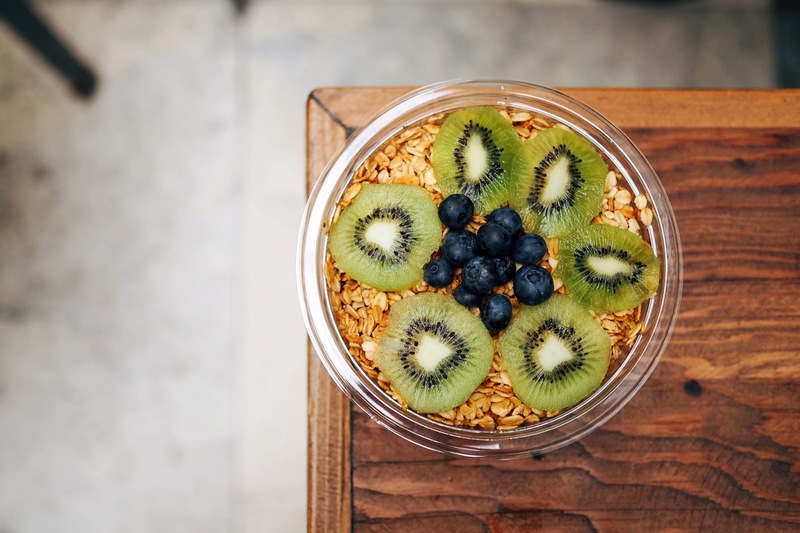 Topped with blueberries, kiwi, and almond granola. Clockwise from top left: The Simple Climber, The Believer, The Dreamer, and The Lover.